Oh, this gorgeous cat caught my breath! It looks very much like my Larry, he keeps his bib snow white, as this kitty does and Larry's face is marked lop-sided. Your cats are all beautiful but this one hit my heart the most! :). I'm glad to read this, Susie! Thank you for sharing! Wow is a great word! I love a good WOW! :) Your comments are greatly appreciated. Thanks, Kathryn, Anne, Sharon and Kathryn! Just beautiful. 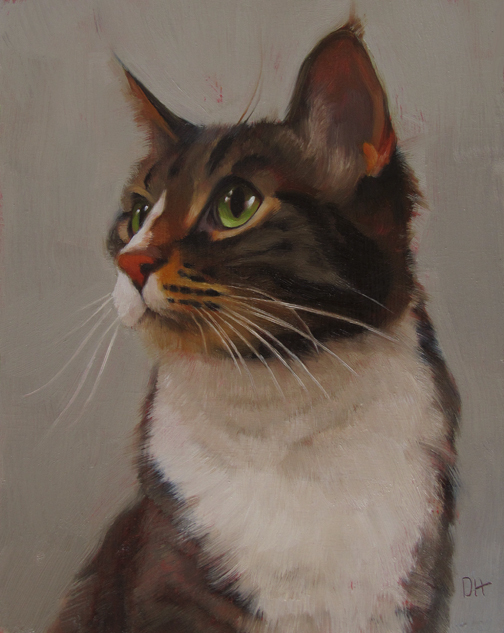 I hope someone adopts the cat and buys the painting! That would be a very happy ending.